Catastrophic traumatic brain injuries, including hematomas and cerebral edema, are the second most common cause of fatalities in football players and can occur in many other contact sports. When there is severe contact with the head, the brain swells and blood pools to increase the intracranial pressure. If treatment is delayed, displacement of the brainstem, known as a herniation, or respiratory arrest can occur. Diffuse cerebral edema, or second impact syndrome, primarily occurs in children when the athlete suffering post-concussive symptoms following a head injury returns to play and sustains a second head injury. 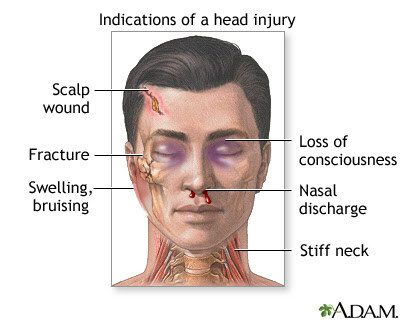 Skull fractures, although not always visible, can arise from a head impact. 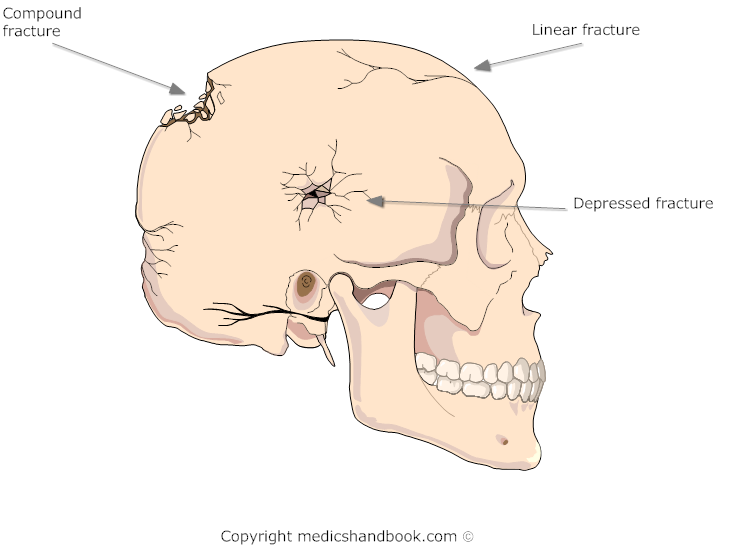 Skull fractures can cause swelling and tenderness, bruising around the face, and bleeding from the nose or ears. 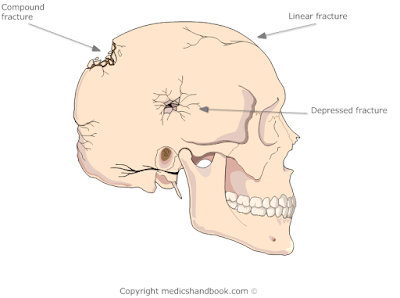 All skull fractures should be treated by a physician. Intracranial hemorrhage is a pathological accumulation of blood within the skull activity and occur in different regions of the brain. An epidural hematoma occurs when the middle meningeal artery, located by the ear, ruptures due to a direct blow to the head. Blood then pools between the skull and the dura mater, a protective membrane that envelops the brain. The onset of symptoms are rapid and emerge within a few hours. The athlete may initially have a period of lucidity, but a decline in functioning is seen 2-3 hours later. 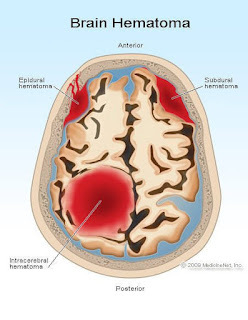 Another type of hematoma known as a subdural hematoma is more commonly seen in adults over 45 years old and is associated with a tear in the bridging veins of the brain due to serious head trauma. Symptoms may include nausea, headache, or vomiting. If any traumatic brain injury is suspected, then treat as a medical emergency and call 911. Refer the athlete for a CT or MRI scan to confirm bleeding. Helmets are key in preventing catastrophic head injuries and reducing the severity of concussions. Athletes and coaching staff should be educated on the risks and symptoms of concussions or the head injuries discussed above. Proper technique in contact sports may significantly reduce the occurrence of head injuries.